To greet the holiday's season, many stores start putting out the shortcakes, which are mainly made out of flour, sugar, lard/butter and ground nuts, varied by adding cinnamom, coco, red wine, olive oil, sesame seeds, or etc. 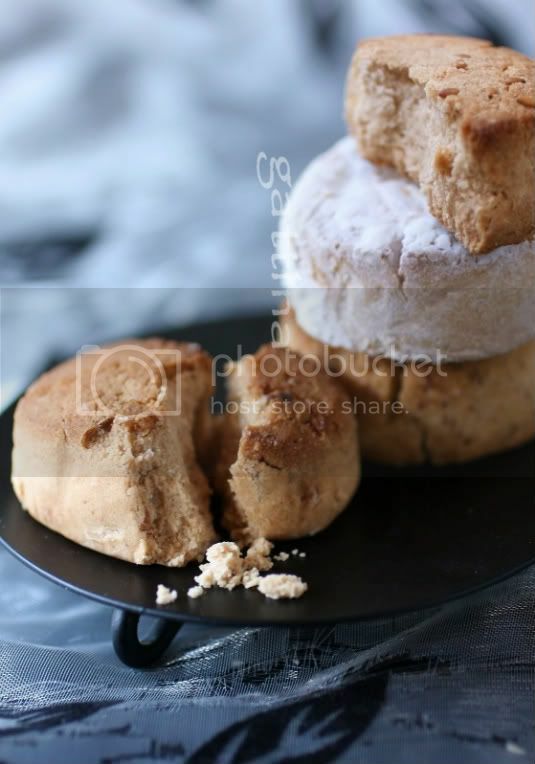 They can be called polvorones or mantecados, depending some differences in the flour's proportion and so the texture. The shortcakes are very crumble and melt-in-the-mouth. They are so beautiful and look delightfully flaky. melt-in-your-mouth? yum! i like that!